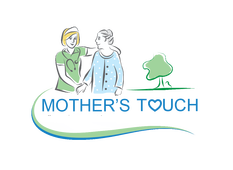 The Hospice Medical Direct﻿﻿﻿or is a critical and welcome part of the team. He or she coordinates with and educates the entire care team. He or she is also indispensable in educating the physician community as well as the education relating to hospice. 1) The perception that a referral to hospice is "giving up". 2) Lack of knowledge about hospice services. 3) Uncertainty about patient's eligibility. 1) Hospice care is most effective when started as early as possible and at the point a patient first meets eligibility criteria. 2) While hospice is usually able to control the physical pain and other symptoms of late referrals, delay of referral causes undue and unnecessary pain and suffering. Medical Care - Pain management is a major focus of the hospice team. Hospice stays up to date on the latest in pain and symptom management techniques. Most treatments designed to keep people comfortable can be provided in the patient’s home, but should more extensive care be required, Hospice will assist in locating a facility that will meet the patient and family needs. Emotional and Spiritual Support - The Hospice team includes chaplains and social workers who help patients and families come to terms with the process of dying. They assist patients in completing some of those important tasks associated with dying, such as saying their final good-byes, mending broken relationships, and giving and seeking forgiveness. Practical Support - The chores of daily living can be overwhelming to the caregiver. Hospice can relieve some of the burden by providing home health aides to assist in the personal care of the patient. Hospice volunteers perform many functions, including providing friendly visits for support and socialization and sitting with the patient to allow the caregiver an opportunity to take a break. Financial Relief - Most patients on Hospice care access the Medicare Hospice Benefit that covers medications and equipment related to the terminal illness, visits by medical and nursing professionals, home health aides, short-term inpatient care, and bereavement support for the family following death. Hospice also accepts Medicaid and private insurance. The financial service specialists at Hospice will assist in negotiating with individual carriers. Bereavement Care - Hospice will follow the family for a full 13 months after the death of their loved one with visits, phone calls, mailings, offers of support groups and invitations to grief education programs.